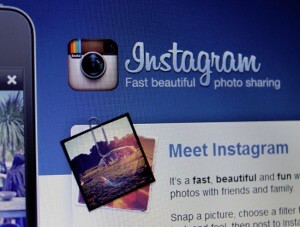 Instagram may overcome both Google and Twitter when it comes to mobile marketing by 2017. According to a new report from eMarketer, the social networking company is expected to generate more than $2.81 billion in global mobile ad revenue by 2017. This is 372% higher than the $595 million that eMarketer had original estimated the company would generate this year. Both Twitter and Google may fall behind Instagram, as the social network finds more success in the mobile marketing space. Mobile marketing has become a very important business tool. More consumers are beginning to use their smartphones and other devices to shop for and purchase products, as well as expose themselves to new services that they may be interested in. Mobile ad displays are a powerful way to engage consumers and these ads have found a promising home on social networks, where millions of consumers are exposed to advertisements on a daily basis. According to eMarketer, Instagram will surpass both Google and Twitter in terms of revenue generated through mobile ad displays. The other two companies currently generate more revenue than Instagram, but that will change by 2017. By that year, Google is estimated to generate $2.38 billion in mobile ad display revenue, whereas Twitter is expected to generate some $2.29 billion. As Instagram becomes more powerful in the mobile marketing space, it will account for a larger share of Facebook’s overall mobile ad revenue. The growth of Instagram’s mobile ad revenue may be due to the rising popularity of “action-oriented” advertisements. These ads are designed to encourage specific actions among consumers. In some cases, such ads are accompanied by “buy” buttons, which allow users to make a purchase products that they find on social networking sites. These buy buttons are proving to be an effective tool for retailers when it comes to engaging mobile consumers. 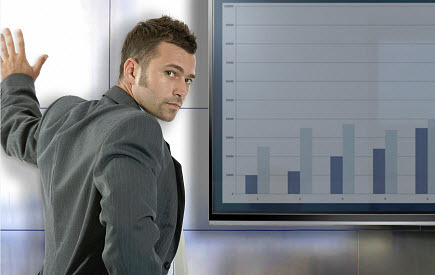 New data is showing that there has been a growth of 114 percent in that specific area of earnings. A new report from the Association of Online Publishers (AOP) and business advisory firm, Deloitte, has shown that mobile ad revenues have driven a growth of 114 percent in smartphone display over the span of the previous 12 months. The data revealed that there was also a great deal of overall growth in earnings from mobile advertising. Among UK publishers, there was a growth of 80 percent in mobile ad revenue during this year’s first quarter, when compared to the figure from Q1, last year. According to the report, the main driver of this growth was the rapid rise in smartphone display earnings (114 percent), with tablet display ad revenues rising at a healthy but notably lower rate of 47 percent. The rate of growth that was seen through mobile ad revenue was considerably greater than that of digital overall. In the AOP & Deloitte Digital Publishers Revenue Index Report (DPRI), it was stated that the overall increase in advertising revenues was 5.6 percent. That rate is slower than it has been over the quarters previous to Q1 2015. Another area in which there has been a steady and promising source of ad revenue has been in online video, where there was a 17 percent higher growth rate recorded by digital publishers than had been seen during the first quarter of 2014. The desktop display ad revenues, on the other hand, saw a drop of 6 percent in the first quarter of this year when compared to the same quarter last year. This indicates that some of the market that had once belonged to desktop could be moving its way over to the mobile marketing sector, instead. As media consumption occurs over smartphones and tablets at a steadily growing rate, online publishers are starting to realize how important it is not to miss out on targeting those device owners with their advertising, as well. This marketing trend does not appear to show any indications of slowing and so it is being predicted by a growing number of firms that the path of mobile ad revenue will only continue in its current direction.